We resumed our search for the best summer destination in the country last week in Mindoro. What we found was surreally beautiful and undoubtedly one of the best this country offers. Apo Reef is the second largest contiguous coral reef in the world and the largest one in the Philippines. But, that’s not all Sablayan has to offer. Pandan Island can rival the best resorts in the country, not in terms of luxury, but the kind of island life experience it gives its guests. Sablayan is also home to Libao Lake, a quaint inland lake surrounded by the Sablayan Watershed Forest Reserve, which is the base for a visit to Mt. Iglit-Baco, an ASEAN Heritage Park. These three were the highlights of our recent vacation, which took years of dreaming, weeks of planning and hours of travel. 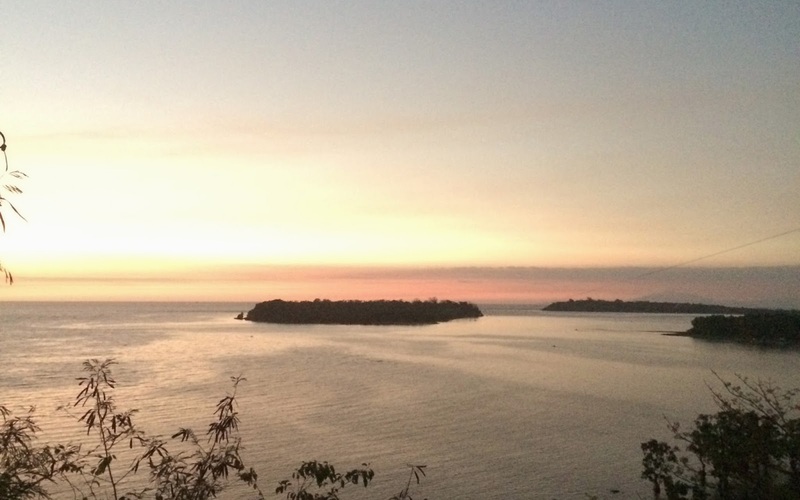 Mindoro is a mecca of amazing biodiversity with its number of endemic species and diversity of habitats. I first visited Mindoro in 2006 with a group from Haribon, an organization committed to nature conservation. We were with Anya Santos-Uy, who briefed us on why Mindoro is unique. According to her, millions of years ago, the major islands in the country merged. However, Mindoro remained an isolated island from the rest of mainland Luzon. This explains the number of endemic species like the Tamaraw, Mindoro Bleeding Heart and Mindoro Tarictic. That time, we only visited Pandan Island and Libao River. Apo Reef since then has been added on my bucket list. Happily, I met Mayor Ed Gadiano of Sablayan weeks ago in Mamburao during its Tuna-toneladang Festival, who told me it was high time I go back to Sablayan to see Apo Reef. So, I started inviting friends and we planned this adventure. A good beach for me is one that will make me want to do nothing but just dig my toes on its powdery sand and enjoy the company of friends. Pandan is even more. It got exceptional marine life that made me want to stay in the water longer. Just look at who welcomed us to the island. The island can be reached via 20 minutes boat ride from Sablayan. We chose to rent a glass bottom boat through the Sablayan Tourism Office and it was a wonderful experience, especially when we spotted a turtle. We paid P 1,100.00 one-way for the boat, which was big enough to accommodate our group of 17 pax. We paid also an environmental fee of P 55.00 each. Since we were guests of the resorts, we were exempted from the entrance fee. We rented four rooms, which included two budget rooms, good for two pax, for P 800.00; a large bungalow, good for two pax, for P 1,600.00; and a family house, good for four pax, for P 3,250. We paid P 250.00 each for additional pax. We were also required to take a dinner buffet of P 470.00 each. We expected alcohol to be expensive at the resort but we were surprised to find out that beer was only P 50.00. Woohoo! We spent a lot of hours lounging at the porch of the family room and snorkeling. When the sun started setting down, we all went to the beach to watch the colors of the horizon change. By sunset, we were all at the bar already to have beer and wait for dinner. It was a lucky day for us, as one of the guests of the resort threw a party with free drinks for all. We left the resort early the following day to meet the other members of our group and buy our provisions for the next three days, which included water for drinking and cooking. Our two guides, Senen and Rovil, who were assigned to us by Sablayan Tourism Office, helped us. We paid P 4,000.00 for our guides. The tourism office also arranged our boat to Apo Reef, which cost P 12,000.00. The fee is for a big boat enough for 20 pax for three days. It also included a small banca, which hauled all our supplies. The more than two hours boat ride was definitely worth it. We landed in paradise. 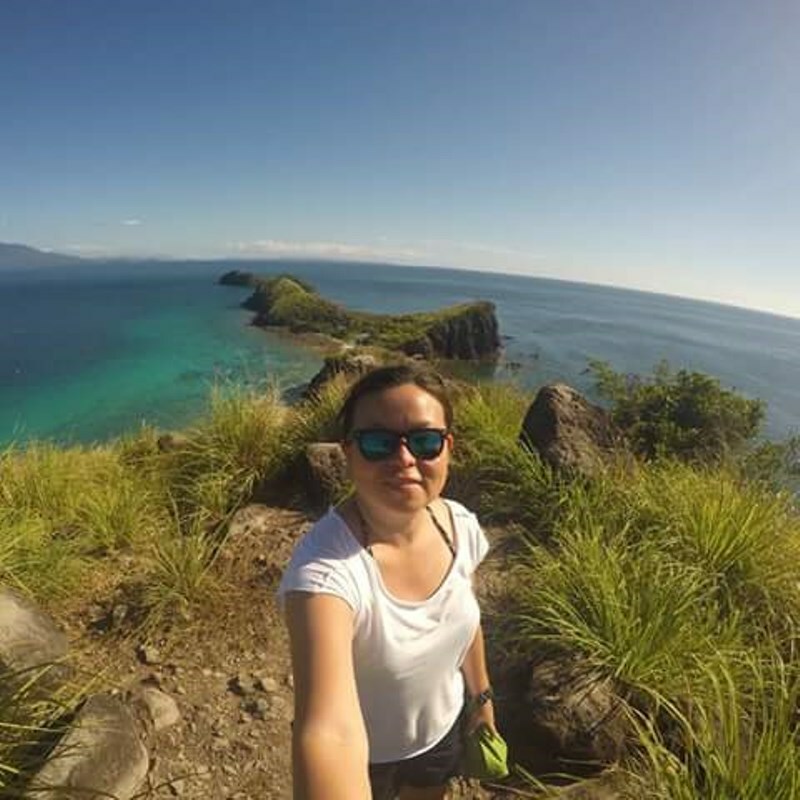 The Apo Reef Natural Park consists of three islands, which are the Apo Island; Binangaan, a rocky limestone island; and Cayos del Bajo, which is a flat corraline rock fomation. Apo Island is about 22 hectares. There is a designated campsite near the registration area, which also has comfort rooms and water pumps, which expels salt water. We stayed for two nights at Apo Island. We paid P 270.00 each for our entrance and environmental fee. Our itinerary included exploring the island’s lighthouse, lagoon and of course, snorkeling around it. The caretakers of the island advised us that there are migratory birds nesting in the island so we needed to keep quiet. It was okay. We wanted to enjoy nature. The best part of the Apo Reef experience was snorkelling. Good thing this was declared a protected area, so the underwater scene was so alive. We also had beautiful sunsets at the island. Despite warnings of strong typhoon, we were blessed with clear skies. We were requested to leave the island very early on our third day, which we didn’t mind because of the looming typhoon. It was a good sail back though to Sablayan. We even passed by Parolang Putol for more snorkeling, which I think is part of Cayos del Bajo. We washed up at Emilie Hotel for P 50.00 each then had lunch at the public market. Since we had more than six hours left before our scheduled bus trip, we decided to see Libao Lake. We rented a joylong van for P 2,500.00 at the Dimplestar Bus Terminal. It was spacious enough for 15 pax, plus our backpacks. The tourism office arranged for our permit and we paid P 80.00 each, which included environmental fee and entrance. Libao Lake is situated inside the Sablayan Penal Farm. It has an approximate area of 24 hectares. The name Libao is from the word libua, a mangyan word for white lotus, which is abundant in the lake. It was a quiet afternoon spent having snacks, exhanging pleasantries with the inmates who were there at the lakes and of course, taking photos. Some took naps. It was definitely the best scene to cap our five-day adventure in Sablayan. There are other places to see in Sablayan like the Parola Park, which is the future site of the longest island-to-island zipline in the world. The Sabalayan Museum is also worth a visit for a brief tour about Sablayan’s history and brush up on their culture. They also have beautiful murals at the park. There is one dedicated to its early inhabitants, the Mangyans and another one on Sablayan’s history. Dimplestar, with stations at Santolan, Sampaloc and Alabang, offers airconditioned buses to Sablayan. Seats are not that comfortable though but it is cheap at P 800.00. Lastly, it is best to coordinate with The Sablayan Tourism Office (09984259898, 09166831709). They are very helpful. Look for Ms. Norie. She made our trip really hassle-free.